Toyota is a Japanese brand dedicated to serving its customers with a high degree of personalization, much like our dedication to providing customers excellent service for all your automotive needs. We offer a complete online catalog of Toyota Avalon OEM parts and accessories at discounted prices. Being a solid performer, Toyota Avalon has been produced by a renowned Japanese automotive manufacturer Toyota Motor Corporation since 1994 as a full-size car. Slotting above the mid-size Camry, Avalon is currently Toyota's flagship sedan in the North America. Toyota Avalon was originally introduced to replace the Toyota Cressida and Toyota Vienta; it was replaced by the Toyota Aurion in Australia. Having won the Top Safety Pick accolade for several times, Toyota Avalon has been manufactured through four generations till now. The third-generation Toyota Avalon was produced from 2004 to 2012 under the XX30 code and made its debut at the 2005 North American International Auto Show with sales beginning in February. It came in four trim levels: (base) XL, Touring, XLS, and Limited. During this generation, Avalon was powered by a 3.5 L V6 engine rated at 268 horsepower and 248 lb-ft of torque and engine sent power through either a 5-speed or a 6-speed automatic transmission to the front wheels. The current generation Toyota Avalon was revealed at the 2012 New York International Auto Show as a 2013 model. In 2013, it even launched a hybrid gasoline-electric model. Now, four trims comprise the Avalon lineup: XLE, XLE Premium, XLE Touring and Limited. And it gets a new 2.5 L I4 engine besides the 3.5 L V6 and power is sent through a 6-speed automatic transmission. First, engine related issue is the worst reported problem with the Toyota Avalon. Nearly every driver knows clearly that once the engine starts to have issues, the vehicle is on the verge of breaking down. According to some experienced Toyota Avalon drivers, after a while of driving, the engine will make metallic sounds, run roughly, misfire or even stall. 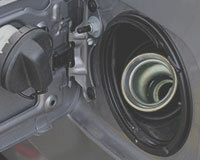 Before the vehicle gets stuck in hard starting or inability to start, has a poor fuel economy, hesitates in acceleration and consumes excessive fuel, you need to inspect the Avalon oil filter, air filter, spark plug, oxygen sensor, drive belt and ignition coil once the Check Engine Light is activated. Second, braking and suspension failures also give Toyota Avalon owners big agony. Generally speaking, a well-functioning braking system is a guarantee of a safe and sound driving experience, but on Toyota Avalon, drivers complained that the brakes would make a scraping sound when being pressed and the brake pedal became pulsating as well as score marks visible on the rotors. But they also said replacing the brake disc, brake pad set and brake drum could solve this issue. As for suspension failure, if you could hear noises from underneath the vehicle while driving, see uneven tire wear and feel intense car vibration and loose steering wheel, you should give the Avalon axle shaft, sway bar link, and wheel bearing a thorough inspection. To keep your Toyota Avalon's overall superior quality, you had better perform routine maintenance on some vulnerable auto parts. 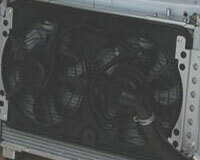 For example, cabin air filter is used to filter contaminants and allergenic objectives in the air and vent fresh and healthy air in the compartment, but it could get clogged easily due to its working content and environment. Wiper blade though is made of soft rubber but undertakes the responsibility of sweeping off debris on the windscreen under adverse weather conditions such as downpours or heavy snows. 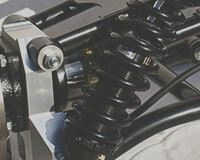 For your safe and comfortable driving trip, routine maintenance on them is essential. 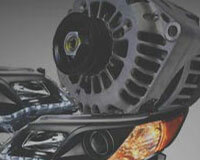 OEM Toyota Avalon auto part is also the key to sustain your Toyota Avalon at the prime condition consistently. 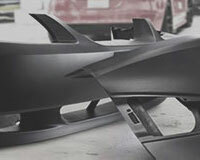 In precise fitment and optimum performance, no aftermarket parts can match them. 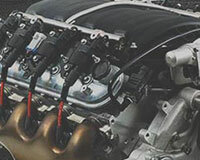 And ToyotaPartsPrime.com is dedicated to offering a broad selection of lowest-priced manufacturer's warrantied genuine Toyota Avalon auto parts online. The quality, reliability and durability of these OEM Avalon parts are guaranteed; and meanwhile, you can return them without a hassle if you have any dissatisfaction with them after receiving them at the door step in the shortest time, so, why not shop now?